There are many Sufis that continue to teach me to deepen my own Spirituality, love of God, each other and creation. Their insights give me a different look at what Jesus knew to be his Father. 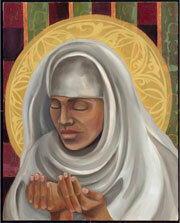 Rabia Basri - Rābiʻa al-ʻAdawiyya al-Qaysiyya or simply Rābiʿah al-Baṣrī was a female Muslim saint and Sufi mystic. She was born between 713 and 717 CE in Basra, Iraq. 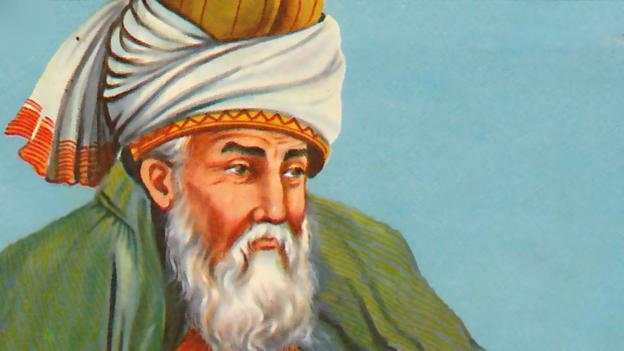 Rumi - Jalāl ad-Dīn Muhammad Rūmī, also known as Jalāl ad-Dīn Muhammad Balkhī, Mawlānā, Mevlânâ, Mevlevî, and more popularly simply as Rūmī, was a 13th-century Persian poet, jurist, Islamic scholar, theologian, and Sufi mystic. 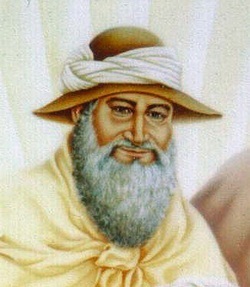 Hafiz - Khwāja Shams-ud-Dīn Muhammad Hāfez-e Shīrāzī, known by his pen name Hāfez, Hafiz, a Sufi poet of the 14th century, expressed in poetry love for the divine, and the intoxicating oneness of union with it. Hafiz, along with many Sufi masters, uses wine as the symbol for love. The intoxication that results from both is why it is such a fitting comparison. Hafiz spoke out about the hypocrisy and deceit that exists in society, and was more outspoken in pointing this out than many poets similar to him. O my Lord, if I worship You from fear of Hell, burn me in Hell; and if I worship You from hope of Paradise, exclude me from Paradise. But if I worship You for Your own sake, do not withhold from me Your Eternal Beauty. “I want to put out the fires of Hell, and burn down the rewards of Paradise. They block the way to God. I do not want to worship from fear of punishment or for the promise of reward, but simply for the love of God. There are three kinds of men: The first believes that his hands and his sons’ hands are all that is necessary to succeed in the only world they know-the material world. The second kind prays with his hands so that a reward will be earned in the next life. The third kind has his hands tied at the wrist, bound with love to serve without thought of return.